We will have our Open House for school year 2018-2019 on May 12th, 2018, Saturday. Please use the register form to participate the open house. Our school, ‘Brooklyn Nihongo Gakuen’ is ran by BJAFA (Brooklyn Japanese American Family Association) which is NY state not-for-profit organization with 501(c)3 status. BJAFA also plans some community events for Japanese-American family, which is Undokai(Sports Day), New Year’s event, and support Japanese-American family community in metropolitan area. If you want to register your child/children to our school’s waiting list, please fill out this form. 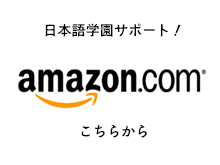 When you purchase something through Amazon.com, please use this link and then purchase it. Amazon.com will donate some percentage of your purchase to our school. This page is a parents link page.